When the matter came up for hearing on Wednesday, government advocate, appearing for the Committee submitted that an enquiry was fixed on April 11. Chennai: Observing that no one can be permitted to violate/negate the order passed by the court of law thereby causing an affront to the ‘Majesty of Justice’, the Madras high court expressed its displeasure over the manner in which the Chairman, State Level Scrutiny Committee, Chennai, was conducting an enquiry into the community status of an employee well beyond the period of time granted by it. A division bench comprising Justices M. Venugopal and Senthilkumar Ramamoorthy directed the Chairman, State Level Scrutiny Committee to complete the enquiry in a complete and comprehensive manner and to file a status report before the court in a threadbare manner before June 4. “The Chairman, State Level Scrutiny Committee is directed to conduct day to day proceedings without granting adjournments to the party and further to provide adequate opportunity to Sreepathy (employee) by adhering to the principles of natural justice. Needless for this court to make a pertinent mention that Sreepathy is directed to lend his assistance to the Committee so as to enable the authority to complete the enquiry and to submit its report within the time determined by this court”, the bench added. The bench said, “It is abundantly made quite clear that if the status report in the subject matter in issue is not filed before this court on June 4, 2019, then, the Chairman, State Level Scrutiny Committee, Chennai, is directed to appear before this court on June 4, 2019 at 10.30 a.m. without fail. Liberty is granted to the petitioners for initiation of appropriate proceedings for violation of the order passed by this court in accordance with law”. The bench posted to June 4, further hearing of the petition filed by Union of India represented by the General Manager, Southern Railway and two others, which sought to quash an order dated March 14, 2016 passed by the Central Administrative Tribunal. 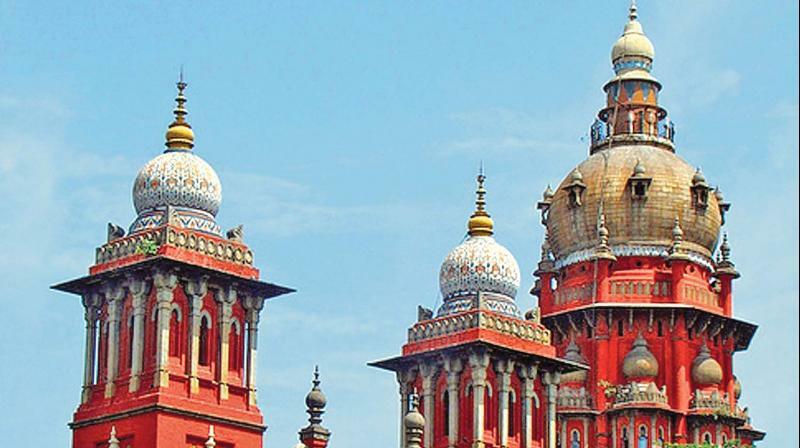 Earlier, when the petition came up for hearing, the bench had, on March 27, observed that the verification of the community status of Sreepathy was referred to the Thiruvallur district collector by the Railway administration as early as on February 9, 2006 and it appears that the matter was pending before the State Level Scrutiny Committee ever since August 22, 2014. The verification of the community status of Sreepathy was pending with the authority concerned for a quite long time. To advance cause of justice, the court directed the Committee to complete the verification process and enquiry and pass final orders within two weeks and report compliance by filing status report, the bench had added. When the matter came up for hearing on Wednesday, government advocate, appearing for the Committee submitted that an enquiry was fixed on April 11. Irked over the same, the bench said it was quite evident that the enquiry was not completed within the time fixed by the court and status report was awaited. If an order was passed by the competent court of law in a given case, it was to be obeyed by the concerned parties and the order passed by the court cannot be supplanted, avoided or circumvented in any manner. “Considering the fact that the order of this court dated March 27, 2019 was not complied with by the chairman, State Level Scrutiny Committee, Adi Dravidar Tribal Welfare Department in true letter and spirit and ‘in stricto sensu’ and also this court taking note of the fact that the enquiry is fixed on April 11, this court expresses its displeasure in no uncertain terms in regard to the fact that the Committee had filed an enquiry on April 11 well beyond the period of granted by this court (which is neither desirable nor palatable), at this stage, this court without expressing any opinion on the merits of the matter to prevent an aberration of justice and to promote substantial cause of justice, directs the Committee to complete the enquiry and file a status report on June 4”, the bench added.